In addition to having a daily reminder of Malone, the Spurs last week were under the observation of another Jazz Hall of Famer, retired coach Jerry Sloan. 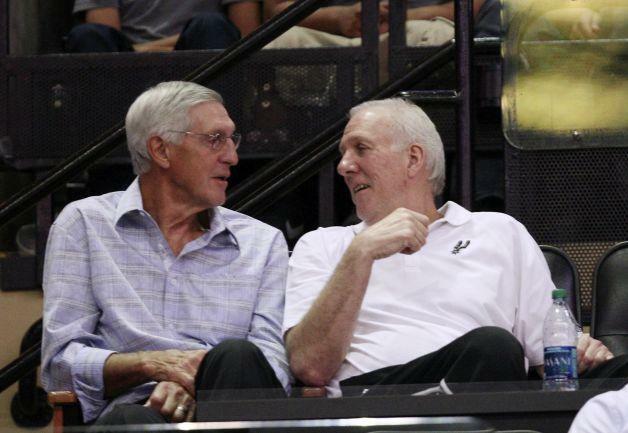 Long a favorite of Spurs coach Gregg Popovich, Sloan spent several days at camp and sat in R.C. Buford’s box in the stands at AT&T Center to observe Wednesday’s intra-squad scrimmage. 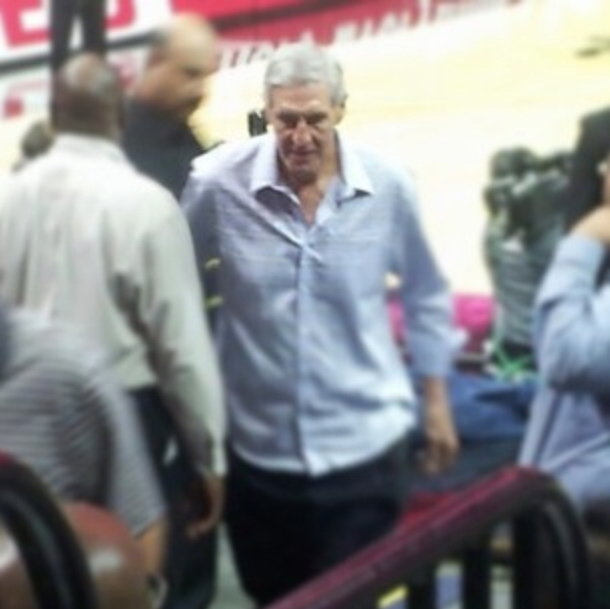 Via @pastranos: Jerry Sloan was at the San Antonio Spurs practice talking with Coach Pop. At each end of the three full courts inside the team’s practice facility, magenta-colored lines mark the sides of trapezoids that delineate an area in which defenders are reminded to play traditional post defense — squared-up and keeping their bodies between offensive players and the basket. The baseline and free-throw line form two sides of the trapezoid. The magenta lines run from the corner of each baseline and sideline diagonally to the sides of the free-throw line. Curiously, the magenta markings are inscribed with the letters K and M because the club is calling the area inside the trapezoid the Karl Malone zone, homage to the Hall of Fame Utah Jazz power forward who did the bulk of his scoring inside the delineated area. More on Jerry attending Spurs practice here. In his continued efforts to broaden his players’ horizons, Spurs coach Gregg Popovich had DVD copies of Wednesday’s presidential debate between Barack Obama and Mitt Romney distributed before practice on Thursday. Whether the DVDs are actually watched is another matter.